Let’s forget about sophisticated and festive dishes for a while and land our feet on earth… Are you familiar with morcilla de cebolla, with chorizo, with pigs feet? No? Well, then let me introduce you to Potaje de judías-Olleta de music or Beans Porridge. 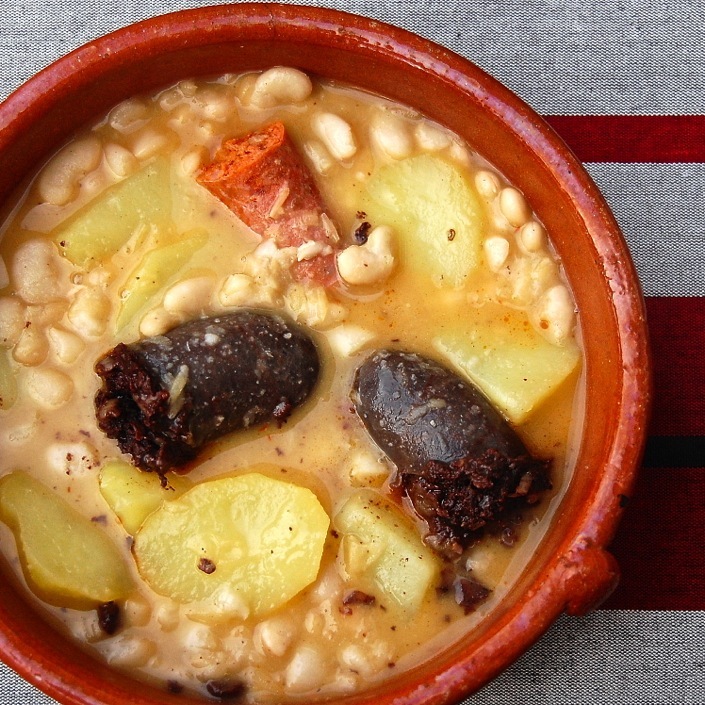 This is a typical dish from Alicante, Valencia and cold days like the ones we’ve had are the perfect excuse to prepare this dish. Remember that post where I explained you some differences between the chorizos and another one with sausages? If you have doubts please check here for chorizos and here for sausages. Before you soak them in water, take a look at them to discard any stones. The previous night soak them in cold water, a large amount of water. If you suspect they are kind of old (not from the latest harvest) add a bit of baking soda to the cold water. Always use wooden tools. Cook in earthenware dish or stainless steel so that they don’t get a metallic flavour. When cooking, always start with cold water. When they start boiling “scare” them with cold water and have them in a very low simmer. This way you will have the tenderest beans ever! Add the salt when they are done. Notice that depending on how old they are and the water composition it can take more or less time to cook. If the beans are fresh it should take 2 hours more or less. I’m sending The Beans Porridge to BloggerAid: Because we can help… such a hearty, simple, and basic dish should be in everyone’s table!!! To get information on BloggerAid, click here. To send dishes for the monthly event head to Eqqual opportunitty kitchen there’s still time until December 28th! This time serves 6: 1 pig feet, 300 grs of pig's snout, 250 grs of beef meat (choose a tender piece), 500 grs potatoes, 3 onion morcillas, 300 grs of white beans, 2 chorizos, 1 dl of extra virgin olive oil, saffron, salt. This recipe can also include rice, but I didn't use it this time. Have beans soaking in cold water the night before. Strain and put the Beans in a pot or a big casserole and cover with cold water. When they start boiling, throw that water into the sink. Get the beans back to the heat and "scare" them with 2 liters of cold water. Add beef, the pork feet and the snout. Cover with a lid and simmer until the pork parts are tender (about 2 hours). After this time add the morcillas, potatoes and chorizos. Simmer for 15 more minutes or until potatoes are cooked. A quarter of an hour before serving, add the saffron (6 to 8 threads smashed) and the oil. Check out the taste and add salt if necessary. I love this tip about beans…I just cooked some last night and posted the pics on my blog. With the temperatures dropping to well below zero I would find this soup so comforting. For now while I am waiting for my soup to cook I am heading to sites with plenty of photos of warm sunny beaches and palm trees to take away the chill. With temperatures dripping to well below zero I would find this soup very comforting. While I am waiting for my soup to cook I am headed to sites with plenty of photos of warm, sunny beaches and palm trees. Thank you so much for the recipe, I will definitely try out. I could almost make it already as I have most things at home except pork and beef. Maybe I will adapt slightly. It’s snowing here again…. Nuria, there you go again, seducing me with blood sausage…Ummm and lots for me here too! 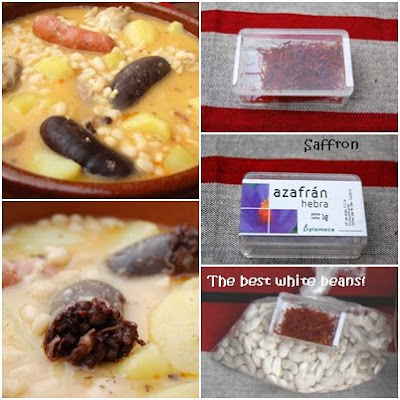 So hearty and comforting Nuria…thanks for sharing your tip on the beans. Thanks for the tips. I just bought some dried beans so for the first time ever I’m going to try cooking them from dry. The sausages look yummy in that porridge! 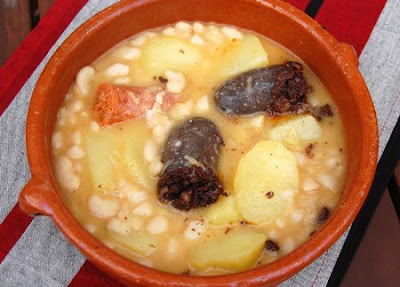 Nuria – Is this not fabada as well? Beans and sausage compliment each other perfectly and are a very satisfying dish. Thanks for the 10 tips…I think I usually skip about 7 of them! 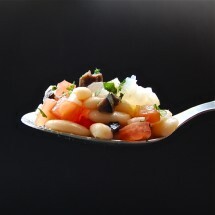 There is nothing better than a nice hot bean based stew, especially in the winter it is absolutely the best thing EVER! Today I am not cooking have tons of leftovers (rice, calamares encebollados, Japanese chicken curry and another big pot of vegetable stew.) maybe I’ll make some beans don’t have any leftovers of that. The tips on the beans are terrific – I have much to learn – and thank you for this “waste nothing” recipe entry to BloggerAid – Because we can help. Fabulous. Perfect Blogger Aid post. And such good comfort food for cold weather! Thanks Nuris for sharing your recipe. You are making me craving so I am making it now but just a pity that I don’t have all ingredients so adapted a bit. Nuria, he,he,he I made fasolada with chorizo and I still have some more to make. Thanks for the lovely tips and here is my 2cents tip: When you soak your beans don’t throw the water away. Soak your silverware there and they will shine as new. Hey Darius! Saw your beans and I would have also “cleaned” the plate ;D.
Hola Val! Temperatures below zero is an experience we hardly ever have here!!! We have High pressures over the peninsula and the sun is heating us again :D. Still cold but I can bear it now! 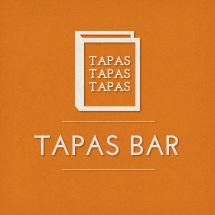 Hola Janet :D. No problem girl, adapting recipes is fun :D. Hope your dish comes out fantastic!!! Hola Janet :D. Hope you make a great meal girl!!!! You know that LaTienda has lots of Spanish Products that they send around the world? I have their link in my upper right column. Hi, this one reminds me of Italian ribolata, looks yummy for cold winters ! We’re building a community of quality recipe bloggers and provide a directory which lists blogs according to how much visitors think recipes are praiseworthy. It works both for visitors of the site and the blogs and it doesn’t require visitors to register (although their are advantages to !). 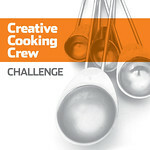 It’s a great way to promote a blog and share your recipes with more and more people. Hi Phil! 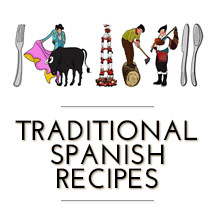 Welcome to Spanish Recipes and thanks for inviting me to join recipe-blogs :D.
I will think about it and let you know something in short. Thanks again! < PANELLETS: The Catalan traditional treat for these days.